Repairs are now finished on the A59 Kex Gill road with a safe interim surface and lining in place and all traffic management removed. The A59 is an important trans-Pennine route between Skipton and Harrogate, but there is a history of instability in land around the road west of Blubberhouses at Kex Gill. The current repairs followed movement in the carriageway last year. Work on these repairs began in October, involving the installation of ground anchors through to the hillside, constructing a concrete wall and a filter lane. The final element will be the resurfacing of the carriageway. This is scheduled to take place during the week beginning 13 May 2019. It is expected to take five days and will require a full closure of the road. A signed diversion will be in place. We published an update on progress on 25 March. You can view it here. 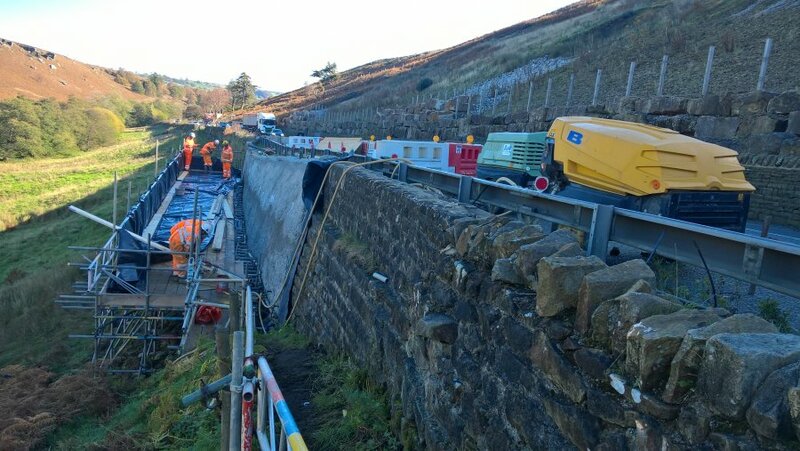 Work is progressing well at Kex Gill with the road and wall both stable. The top row of nails and grouting are complete, the bottom row are in progress. Unfortunately, the need for additional work has caused further delays. 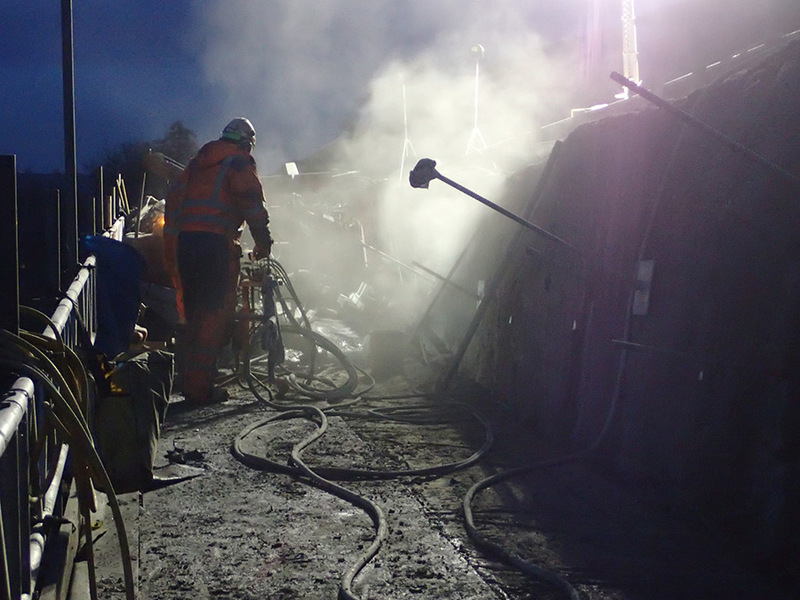 Whilst we had anticipated work to be completed in late February, low temperatures may affect the grouting process and the final completion date. Traffic management will remain in place. We will provide updates as we have further information. Thank you for your patience and understanding. Despite the difficult weather conditions, good progress has been made this week. Surveyors have been on site completing a full survey of the works. Monitoring will continue throughout the Christmas period. Traffic Management will remain in place over the Christmas break but the road is open. We published an update on progress on 12 December. You can view it here. We published an update on progress on 19 November. You can view it here. Site set up, traffic lights extended, site compound and office established. Scaffold platform erected to enable the drilling rig to install the ground anchors. Movement monitoring targets installed on the wall face and existing road surface. Polythene spill protection fixed to scaffold platform to prevent any grout spillages from spreading onto the surrounding ground. 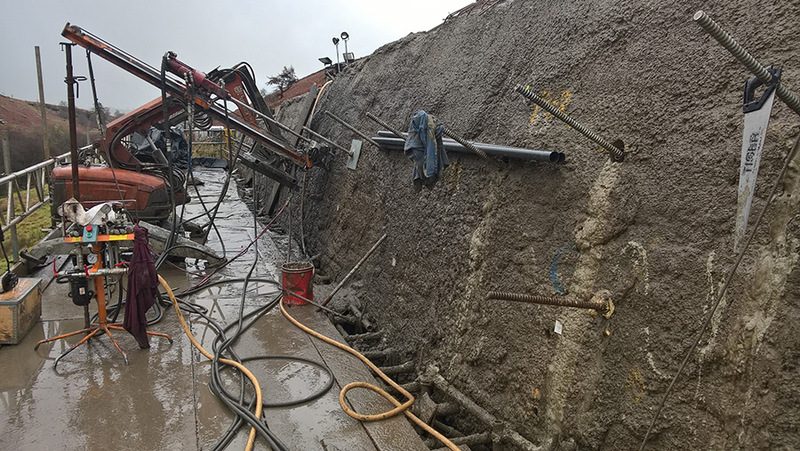 Diamond core drilling and soil nail drilling for temporary anchors to provide lateral restraint for the drilling rig. Drilling rig to be lifted into place on the scaffold platform. Commence drilling and installation of the permanent anchors. Continuous movement monitoring of the wall and road surface whilst work is underway.